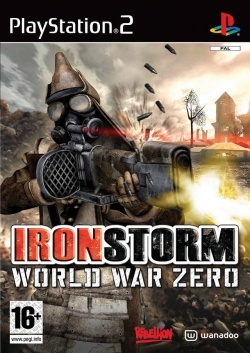 Game description: The Ironstorm storyline is set in an alternative reality where the First World War didn’t conclude in 1918, but continued for 5 decades until 1964. The key character is a Western Force officer attempting to infiltrate the Mad Baron's Research facility within a decimated Germany. USA v02.20(10/02/2006), Standard, Fine game., Hardware mode have somes Littles brokens yet,Software mode is perfect. This page was last edited on 27 April 2016, at 20:48.